Dr. Taylor Martin’s research on new mathematical methods to assist cities in addressing unstructured neighborhoods is featured at the Oak Ridge National Laboratory. Dr. Emma P. Bullock receives a 2018 Mixed Methods International Research Association MAXQDA Dissertation Award for her doctoral dissertation. Professor Rebecca Garcia will be the 2019 on-site director of the Mathematical Sciences Research Institute Undergraduate Program. The MSRI-UP 2019 will focus on Combinatorics and Discrete Mathematics and will be lead by Dr. Pamela E. Harris of Williams College. Professor Scott Chapman is recognized as Distinguished Professor during the 2018 Sam Houston State University Annual Academic Awards. Professor Bill Jasper selected by the Board of Regents of The Texas State University System for the 2018 Regents' Teacher Award. Professors Ferry Butar and Jianzhong Wang were recognized with a 25 year Faculty Service Award during the 2018 SHSU Annual Meeting. 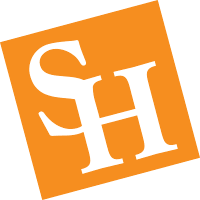 One of the fastest growing universities in Texas, Sam Houston State University is a comprehensive public institution of higher education located on a 316-acre main campus in historic Huntsville, 60 miles north of Houston in the Piney Woods region of East Texas. The university has an enrollment of approximately 20,000 taught by more than 700 full-time faculty. The Department of Mathematics and Statistics has 31 tenured, tenure track and visiting faculty in mathematics, mathematics education, and statistics. The BA, BS, MA, and MS degrees are offered in Mathematics. The MS degree is offered in Statistics, along with Statistics minors at both the undergraduate and graduate levels. Detailed information about these programs can be found in the links on the right. Students make sure to check the Math Center to learn more about their diverse array of tutoring programs. Current and prospective students make sure to check the information under For Students in the navigation bar on the right. In there you will learn about scholarships, the MATH 1420 placement exam, and several other opportunities. Please visit the Recent News website to read about more exciting news in our department.